Walt Klisiwecz, CFP,® MBA provides comprehensive, personal financial planning to families and individuals throughout the New York Capital Region and the Northeast. A CERTIFIED FINANCIAL PLANNER™ (CFP®) since 2001, Walt provides a comfortable atmosphere for you to envision your future and clearly define your goals. He will help you to coordinate all elements of your finances such as investments, insurance, and fixed income sources. The result is a comprehensive plan with the highest probability of reaching your goals while maintaining and improving your quality of life. He received his Bachelor of Science, Accounting in 1989 and an MBA in 1999 from the State University of New York at Albany. 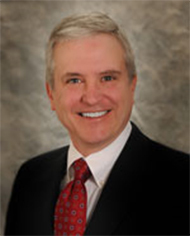 Walt is an active member of the Financial Planning Association of Northeastern New York and is a member of the Bethlehem Chamber of Commerce. He is an avid cyclist who has completed several 25, 50 and 100 mile bike rides to benefit various charities. Walt resides in Delmar with his wife and two sons.